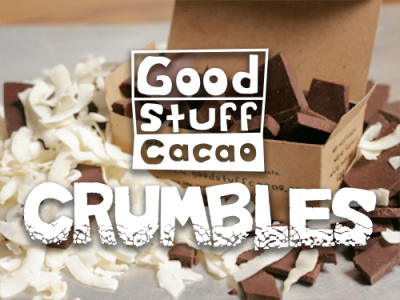 We call them Crumbles, our employees call them “The Yummy Goodness.” It’s the delicious morsels left from our cacao after packaging. But, it has become too much for our employees to consume (great perk!) With a bit of arm twisting we convinced them to share– for a limited time that is.